LUCARA Diamond Corporation forecast an increase in carat production guidance for its 2018 financial year following third quarter production of 127,031 carats owing to higher ore volumes – a result of having employed new mining contractor services. In terms of revenue, however, the increased ore was delivering smaller diamonds which the company said today “… do not contribute materially” to its revenue line. “Despite the increase in carats recovered, revenue is expected to be in the range of $180m to $190m,” it said. This is against guidance of $170m to $200m for the year. Full-year production and sales are expected to come in at 325,000 to 350,000 carats which compares to previous guidance of between 270,000 and 290,000 carats. The remainder of the company’s forecast for 2018 remains unchanged, it said. Lucara mines the Karowe diamond mine in Botswana which is famed for yielding the fantastically valuable Lesedi La Rona mine, a 1,111 carat gem second only in size to the Cullinan diamond which was cut into the British Crown Jewels. After much deliberation, Lesedi was sold to British jeweller Graff Diamonds for $53m in September, 2017. Third quarter financials, therefore, compare poorly when set against the unusual nature of the September sale of Lesedi La Rona. Earnings before interest, tax, depreciation and amortisation was $18.2m (2017: $49.8m), although Lucara acknowledged that there was a lower average price of exceptional stones sold in the period. Net income for the three months was $5.1m, equal to $0.01 per share, ($32.9m or some $0.09 per share). As of September 30, Lucara had cash of $31.1m. An $50m credit facility remained undrawn as of September 30. 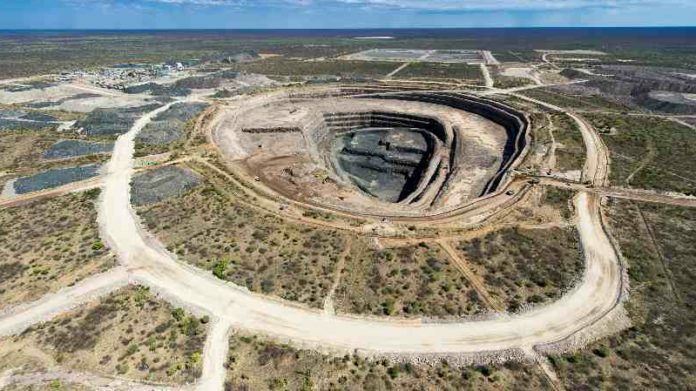 “Third quarter operational performance at Karowe exceeded expectations with respect to ore mined and carats produced, and reflects a seamless transition, three months ahead of schedule, to our new mining contractor, Trollope Mining Services,” Eira Thomas, president and CEO of Lucara Diamond said in notes to the firm’s third quarter results. Thomas said the first diamond sales via Lucara’s bespoke sales channel, which makes use of blockchain technology, was due to kick off this month. It was “… positioned to completely transform the diamond sales process, creating efficiencies and unlocking significant value for producers and manufacturers alike”, she said. The company also approved a third quarter dividend payment of 2.5 Canadian cents per year which is in line with its stated dividend policy to pay 10 Canadian cents for the 2018 financial year. Shares in the company were marginally higher in Toronto at the close on November 8, but on a year-to-date basis there has been an 11% improvement.